Dr. Bruce Maylath joined the NDSU English Department in 2007. He says NDSU was intrigued by his background in linguistics and International Technical Communication. Dr. Maylath is the co-founder of the Trans-Atlantic & Pacific Project (TAPP), which has linked students in writing and translation courses across four continents since the 1999-2000 academic year. He continues to serve as the TAPP network’s coordinator. 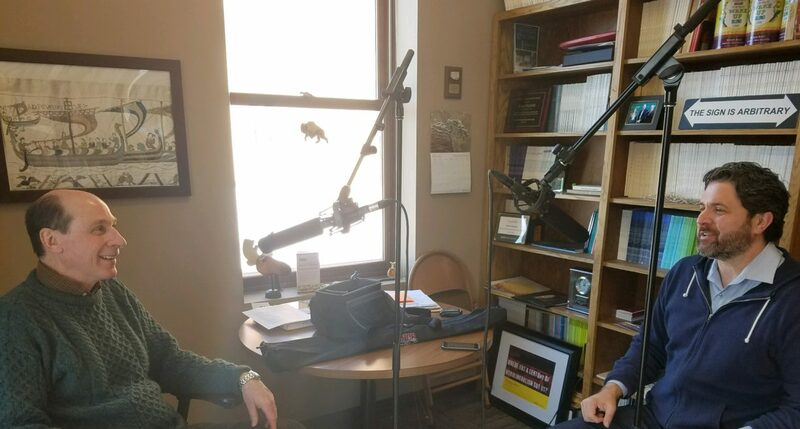 In this episode, we’ll learn more about TAPP and how the program, without funding, has helped to link NDSU students to the world and the world to NDSU. Students use critical thinking skills and collaboration to refine texts. The learning is experiential, as Maylath says new sets of problems arise with each translation. Maylath says there are currently 24 universities involved across 17 countries and four continents. Ultimately, TAPP prepares students for work in a competitive global market while connecting students by utilizing simple technology like e-mail, Skype or WhatsApp.